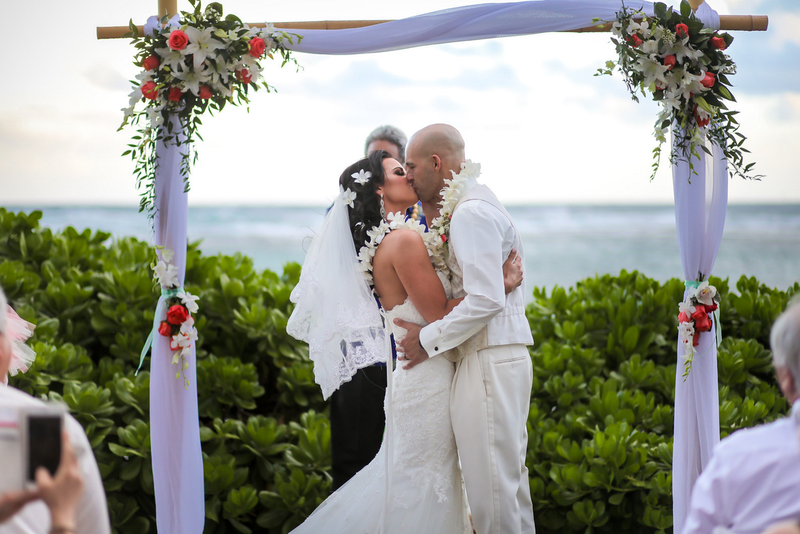 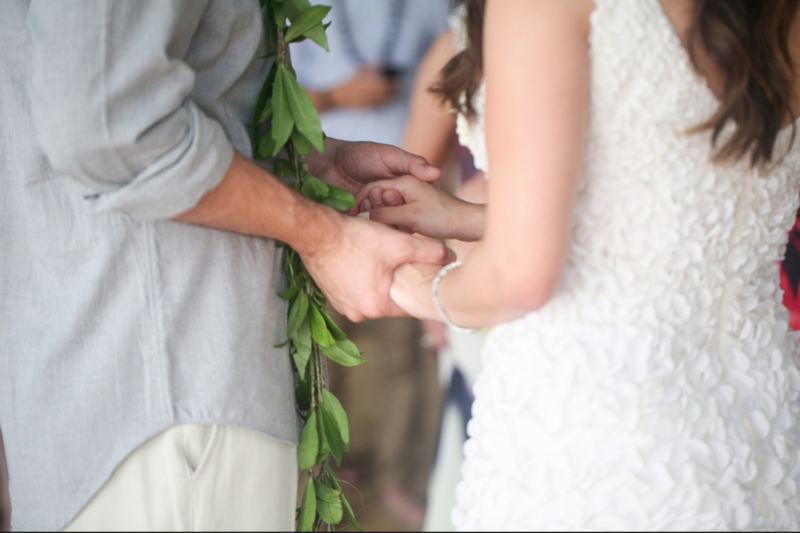 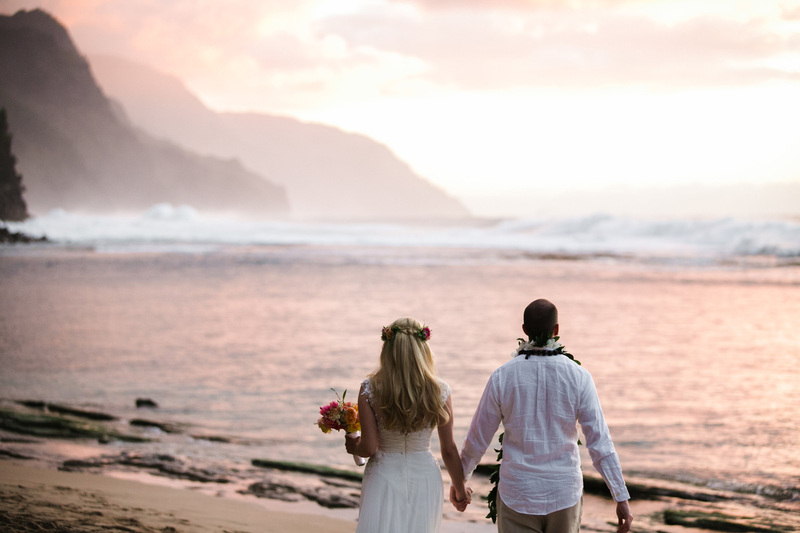 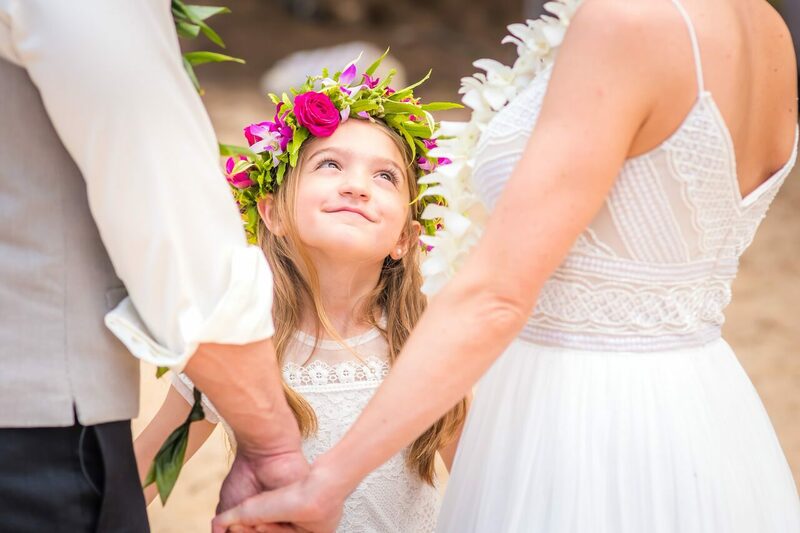 We have many beautiful lei options for your ceremony, as well as Haku leis, a lei worn on the head. 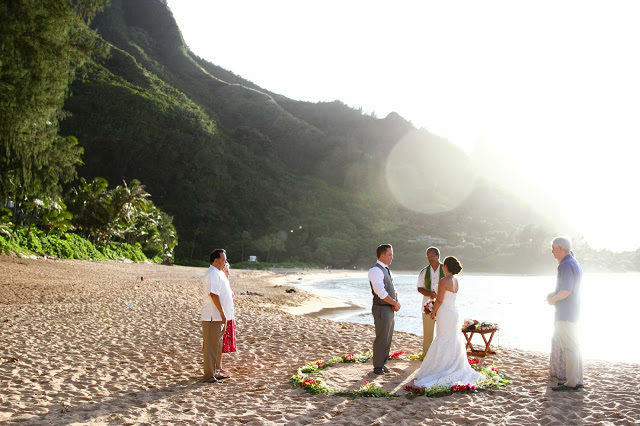 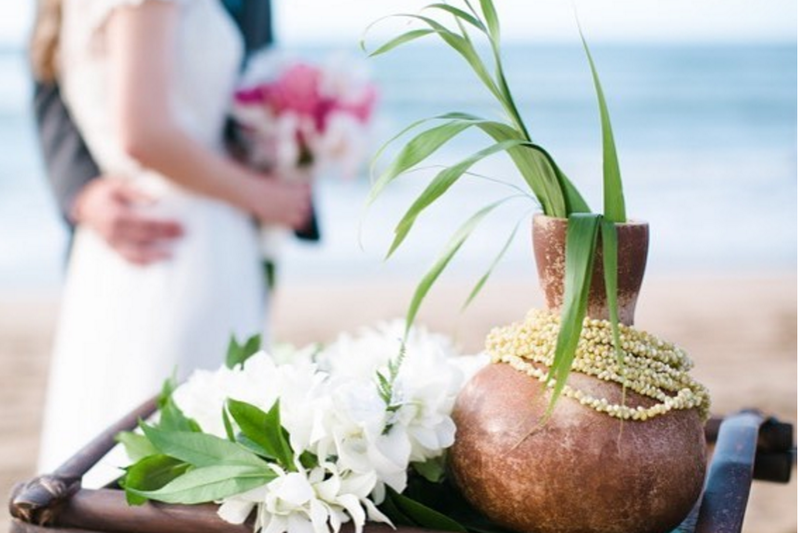 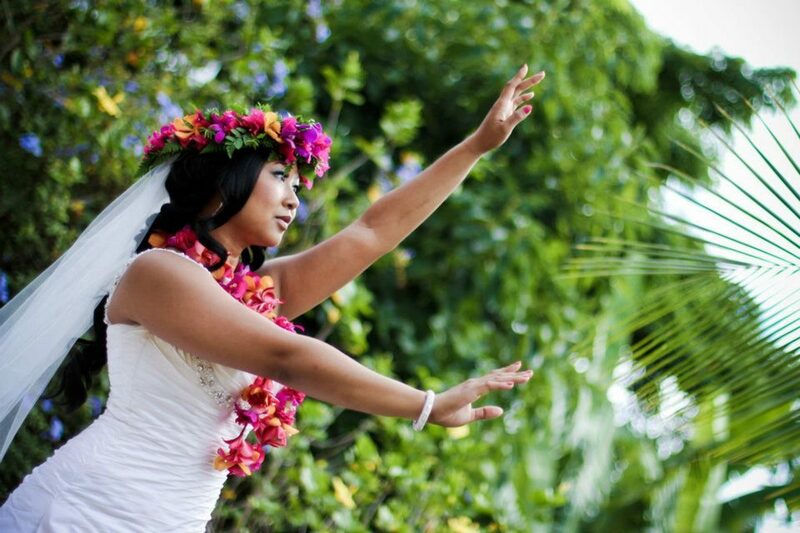 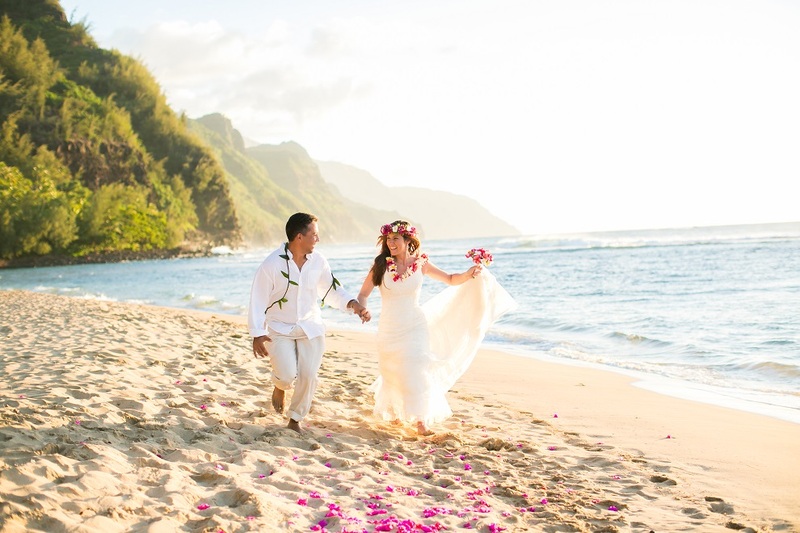 The most popular wedding lei option is the maile lei. 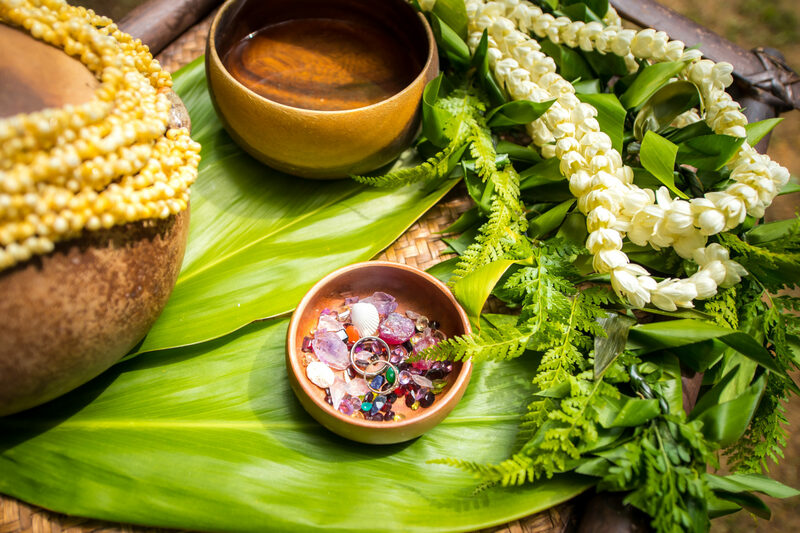 It’s heady scent evokes images of romance, and indeed, throughout Hawaiian history, myth, and legend, it is associated with courtship and romance. 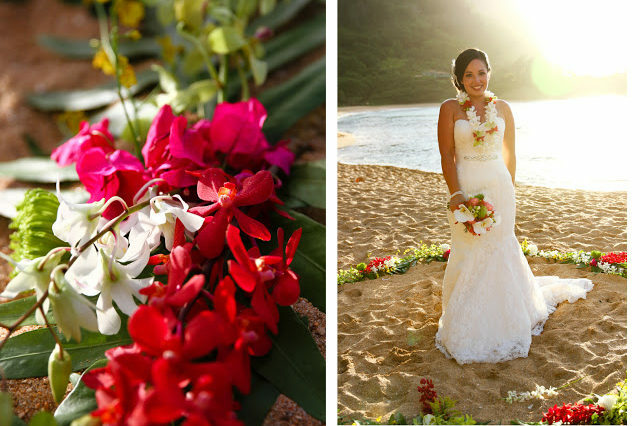 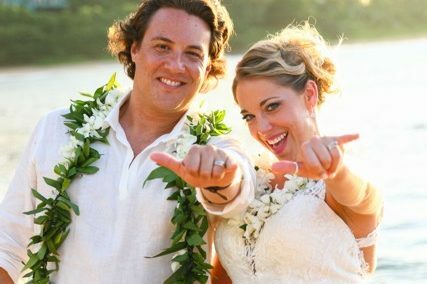 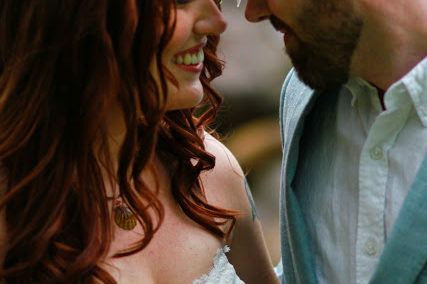 Often, both the bride and groom will wear maile, either alone or with floral lei kui intertwined. 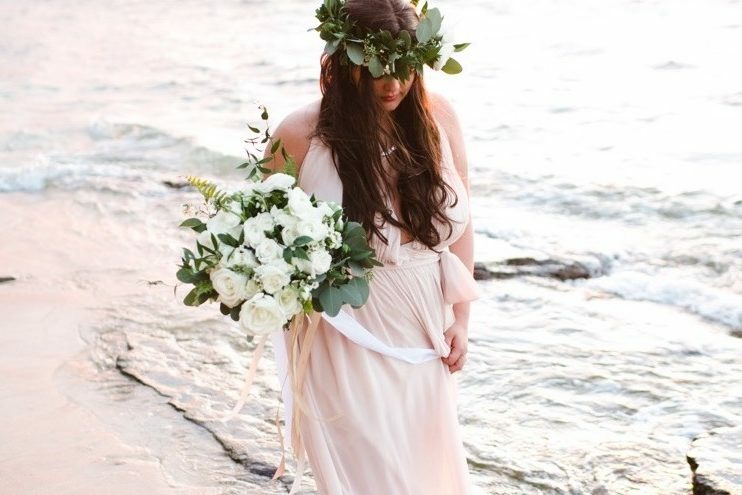 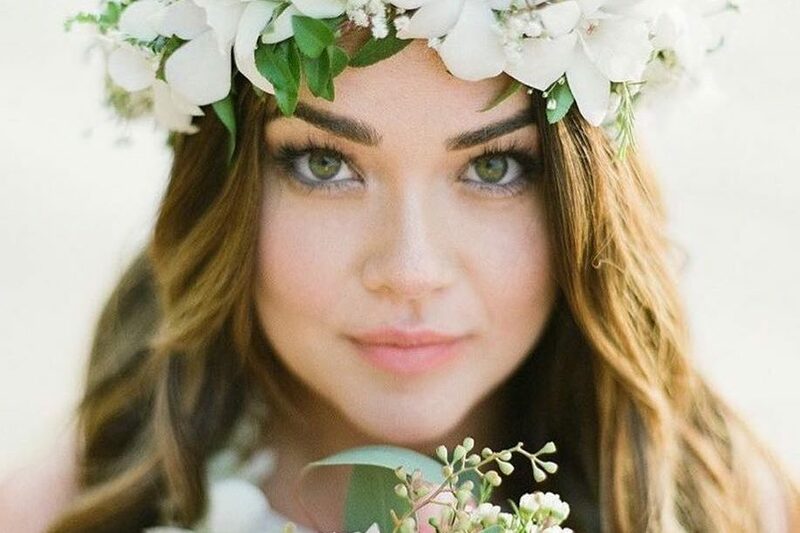 Sometimes only the bride will add a floral lei. 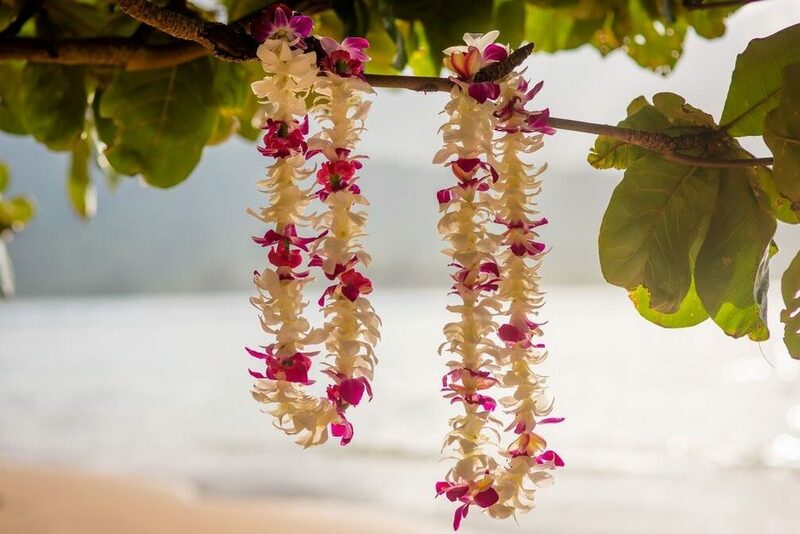 For some `Ohana, the custom is to wear the lei open during the ceremony and, after the consecration, to tie the lei closed.